In addition to managing and growing the existing combat vehicle support business, the intent is for the new Joint Venture to play a major role in the delivery of the British Army's new Mechanised Infantry Vehicle (MIV) and other strategic combat vehicles programmes. While initially focused on these major UK programmes, RBSL will also form an integral part of Rheinmetall's Vehicle Systems Division and will participate in and contribute to various global military vehicle pursuits and contracts. The combination of Rheinmetall's military vehicles technology and products with the additional capabilities and products brought to the Joint Venture by BAE Systems, such as Trojan, Terrier, Warrior, military bridging and the AS90 self-propelled artillery system will create a European market leader in the military vehicle sector. Ben Hudson, global head of Rheinmetall's Vehicle Systems Division said "We are excited about the potential the new Joint Venture holds for Rheinmetall, BAE Systems and ultimately our customers. The combined capabilities of our two great companies will offer our customers a comprehensive portfolio of military vehicles and associated technologies both now and into the future. 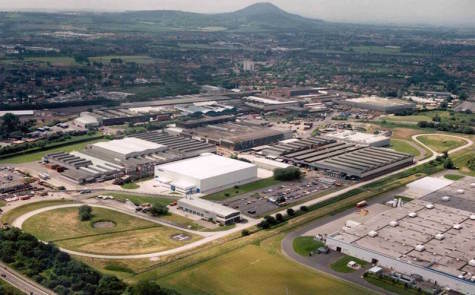 We are proud to invest in the UK and expect to substantially grow the current business and the Telford manufacturing facility over the coming years." Jennifer Osbaldestin, Managing Director of BAE Systems Land UK business, said "We are committed to evolving our combat vehicles business so that we better serve our customers' future interests. Joining forces with Rheinmetall in the UK provides renewed purpose for our vehicles business and allows us to deliver products, services and technology that help land forces excel in their vital roles. We look forward to working together to ensure the Joint Venture is a trusted supplier to the British Army and our international customers." Rheinmetall Defence is a leading supplier of military vehicles and systems. Rheinmetall's businesses in the UK include Rheinmetall Defence UK (RD UK) and Rheinmetall MAN Military Vehicles UK (RMMV UK), and are well-established suppliers to the MOD. They support the British military in a number of areas, including vehicle systems, ammunition and technical assistance. BAE Systems has had a combat vehicles manufacturing and support business in the UK for many decades. Under predecessor companies it manufactured and built the Challenger 2 Main Battle Tank and the Warrior, Terrier and prototypes of the BOXER vehicles. The current business helps the MOD and Army maintain and upgrade a range of military vehicles and bridging systems. It employs around 400 people, who are based largely at the company's Telford facility, as well as at sites in Washington, Filton (Bristol) and Bovington. The proposed Joint Venture does not include BAE Systems' munitions and weapons systems businesses or its holding in the CTAI Joint Venture with Nexter. (EDITOR’S NOTE: Rheinmetall is clearly embarked on an expansion strategy, with the aim of dominating the European market for army equipment, and of countering the merger of the armored vehicle businesses of Germany’s KMW and France’s Nexter. In late November, it also revealed it was discussing a takeover of KMW (itself the result of a merger between German firms Krauss Maffei and Wegmann), which would allow it to control the joint holding company KNDS that KMW and Nexter are forming.